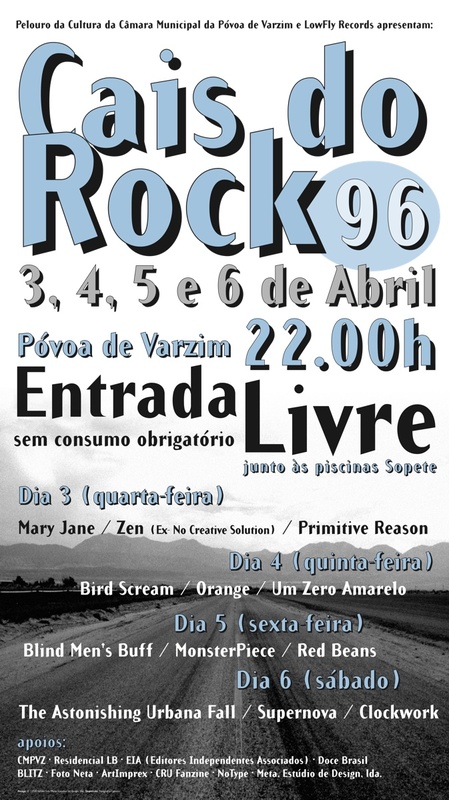 Graphic design for an independent rock music festival in Portugal. 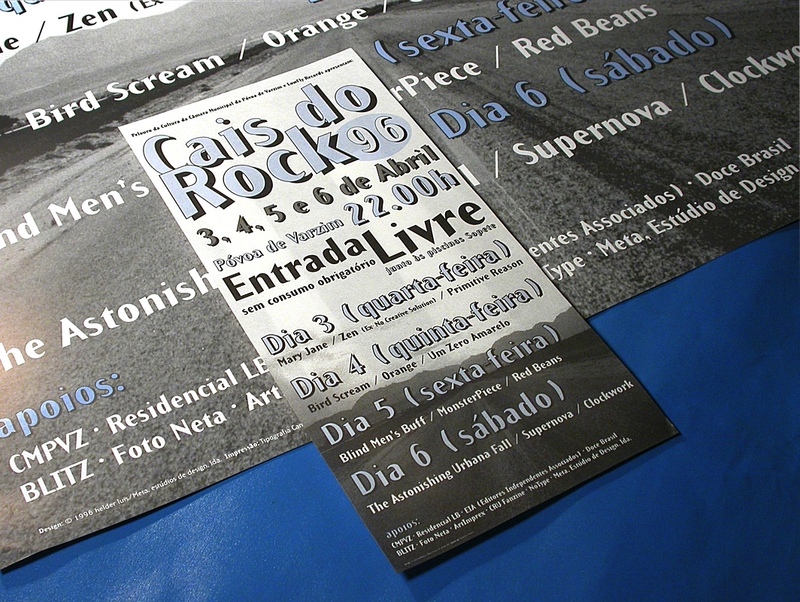 Cais do Rock was one of the first music graphic design work i did. 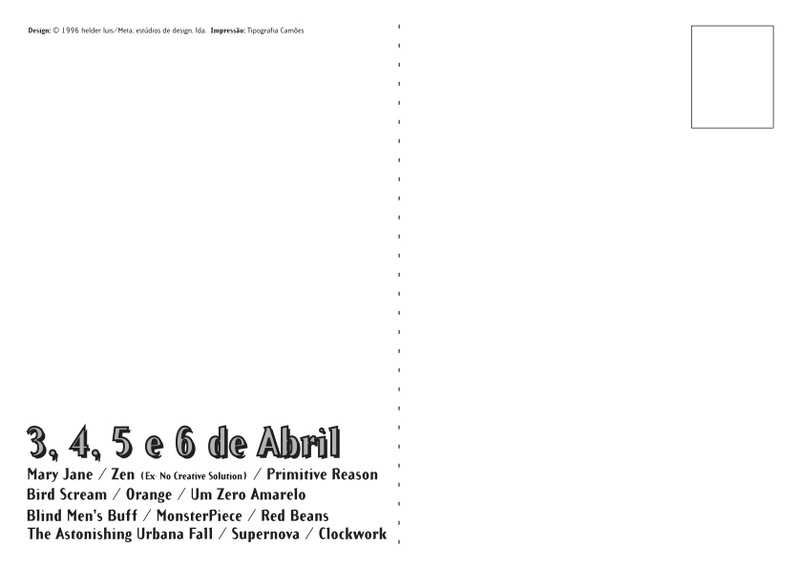 Still heavily influenced by Emigre, David Carson and my obsession with road landscapes. The festival was organized locally by friends. 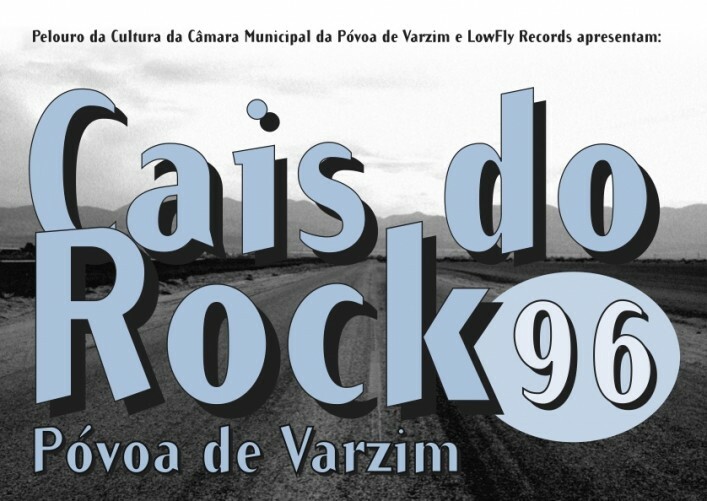 1996 was the second edition and the last one designed by me. The festival came to acquire a indie status in the Portuguese rock scene and several new bands premiered at this festival. 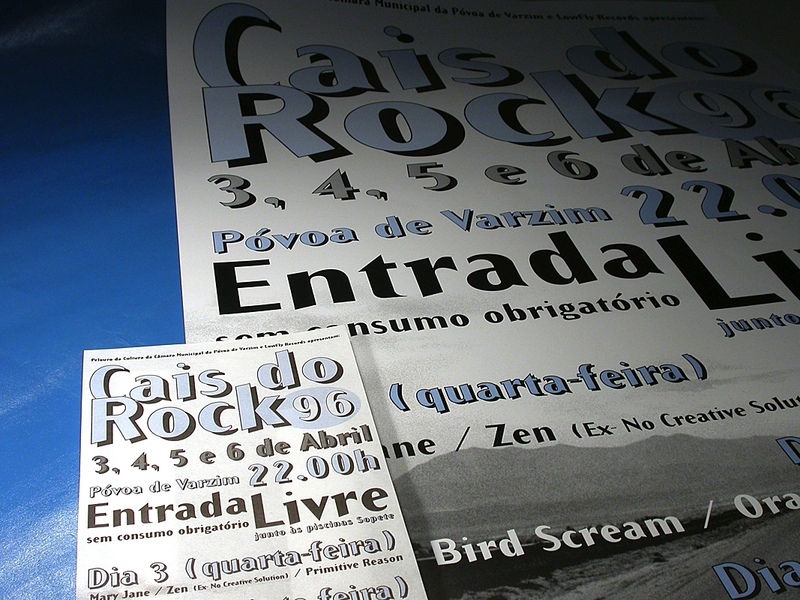 I designed a poster, flyer, postcard and an ad for a national music newspaper.